Shackleton Thomas is a name that we immediately associate with timelessness. 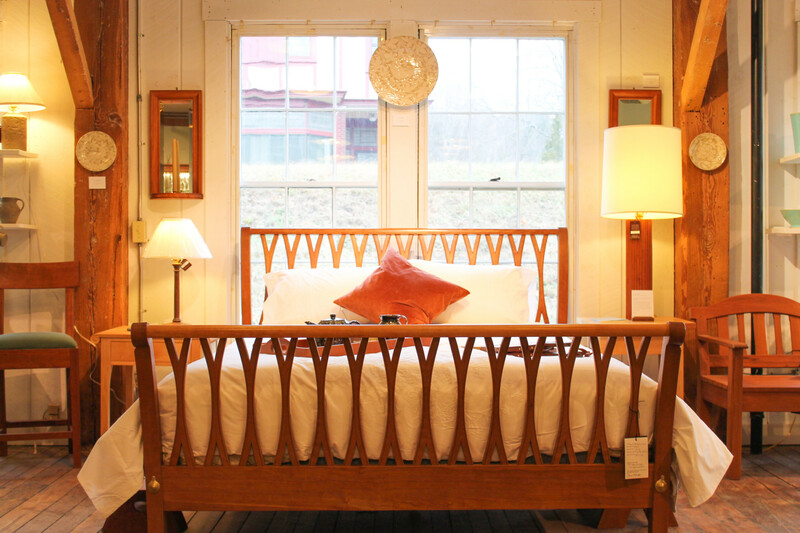 Tucked in the side of the Bridgewater Mill, their showroom is a take on inspirational whimsy. 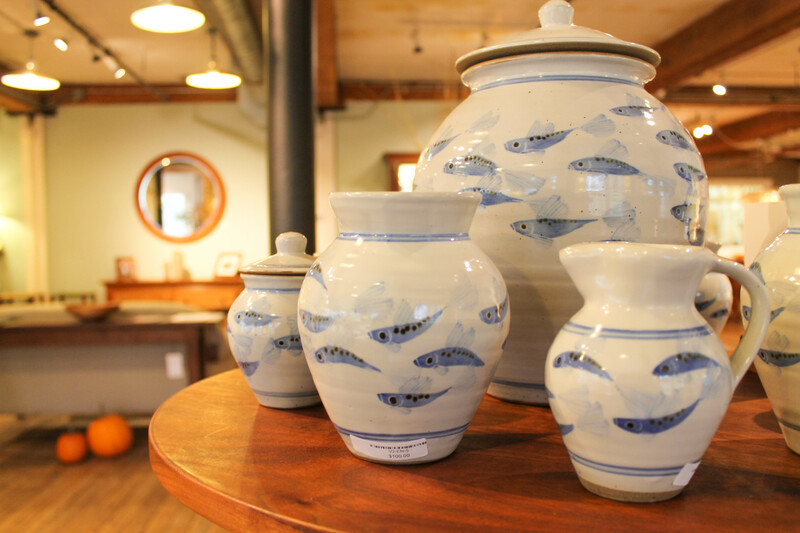 Warm hints of cherry wood and hand carved objects mix seamlessly with blue-hued pottery and earthy florals. 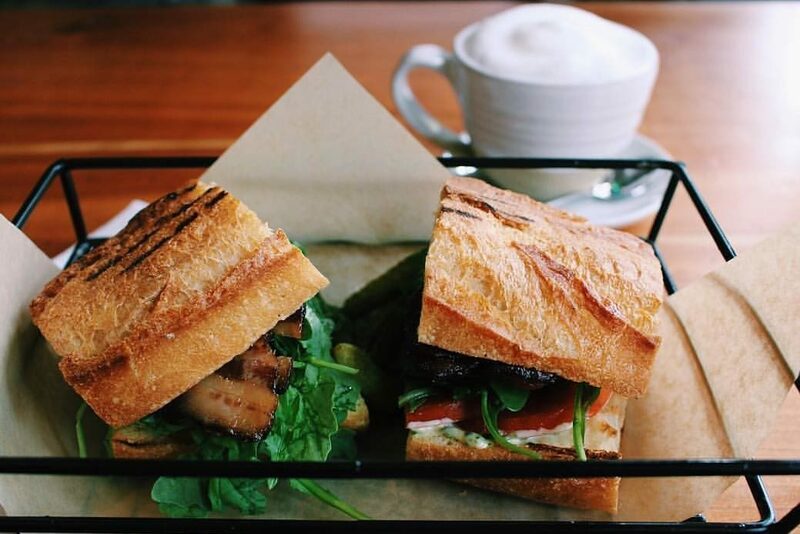 It’s warm and cozy, yet the artisan touch is not lost. 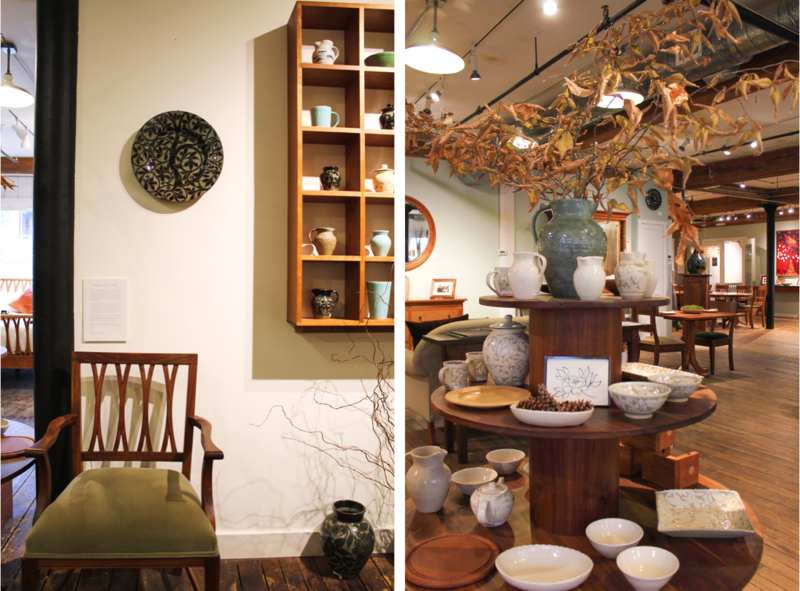 The showroom is undoubtedly a reflection of the world Charlie and Miranda Shackleton have envisioned. Born in Ireland in 1958, Charlie grew up in a beautiful Georgian house outside Dublin. Charlie’s ancestors came to Ireland in 1720, after which members of the family started a milling farm to grind wheat. Interestingly enough Charlie is closely related to the famous Antarctic explorer, Sir Ernest Shackleton. Adventure and hard work are abundant in the Shackleton family line, and Charlie certainly followed suit. He went to the Stowe School in England, an establishment well-known for its campus architecture. With a pull toward the arts, Charlie later attended art school in England and met his wife, Miranda. 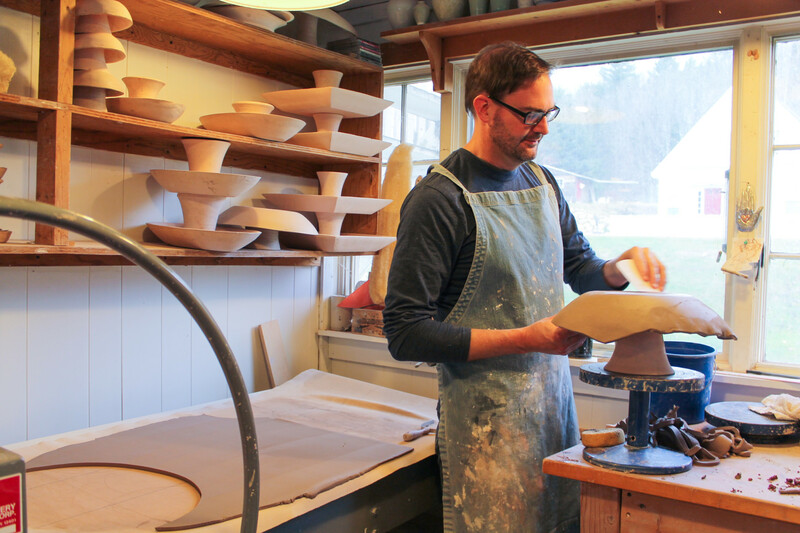 “I enjoyed making things by hand as a child, and I continued to appreciate a functional product where you could see the work of the human hand,” he says. Charlie learned how to draw, make parts, as well as the skills of wood and metal working. Miranda was studying pottery at the time. After his schooling, Charlie connected with his brother’s friend, Simon Pearce (sound familiar?). Interested in learning the craft of glassblowing, he traveled to America with Simon and blew glass for five years. There, he experienced how a high-end craft business is run and continued to fine-tune his artisan abilities. “Glassblowing is very different from woodworking, but it was a good education. It added fluidity to my work going forward,” says Charlie. We, as well as anyone who has visited the Simon Pearce workshop, can understand the fluidity that goes into the glassblowing process. The swift and precise moves necessary to glassblowing undoubtedly provide skills that could be translated to another form of craft. After five years, Charlie turned to his true love of making things out of wood. “You only live once,” Charlie thought. He left Simon Pearce to start his own business making furniture, and he has continued this business for 30 years. Miranda also worked for Simon Pearce as a potter. Upon marrying Charlie and building their family, the combination of crafts seemed obvious! 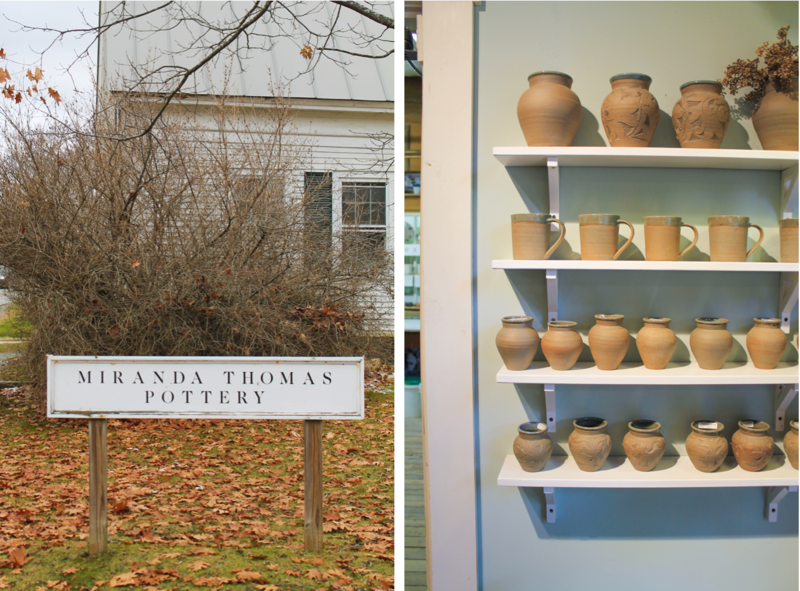 They created a successful collaboration of pottery and furniture under the Shackleton Thomas name. This only made sense to Charlie and Miranda based on a similar vision of why handmade items are so popular. “People are craving things around them that reflect humanity and soul.” We whole-heartedly agree. There is something incredibly special about choosing artisanal, handmade products to put in your home – the place you call your sanctuary, that both comforts and inspires you. 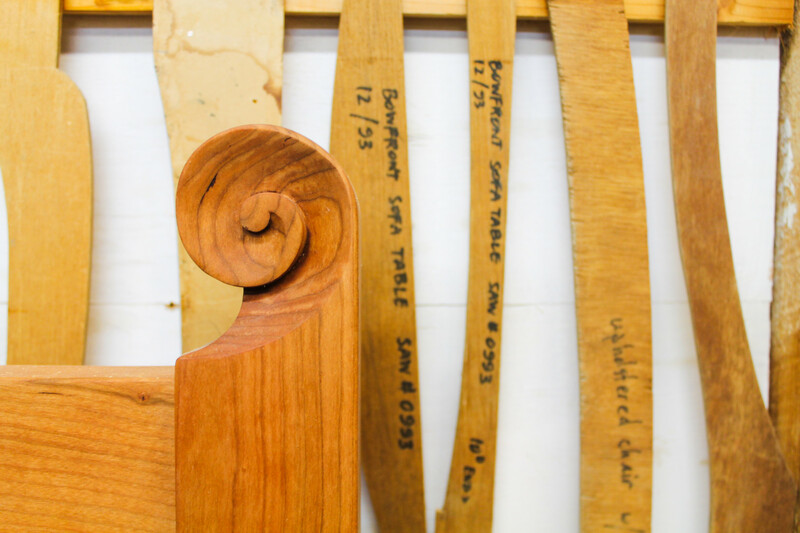 The love and care that go into handmade products, such as our breakfast room chairs (made by Shackleton Thomas!) 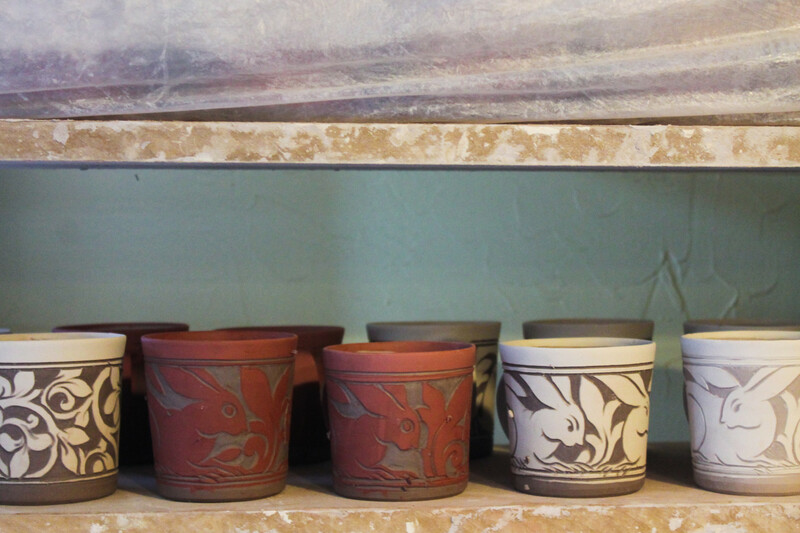 and a piece of Miranda’s pottery that graces our coffee service area in the main house, most definitely set the vibe with which our guests begin their day. 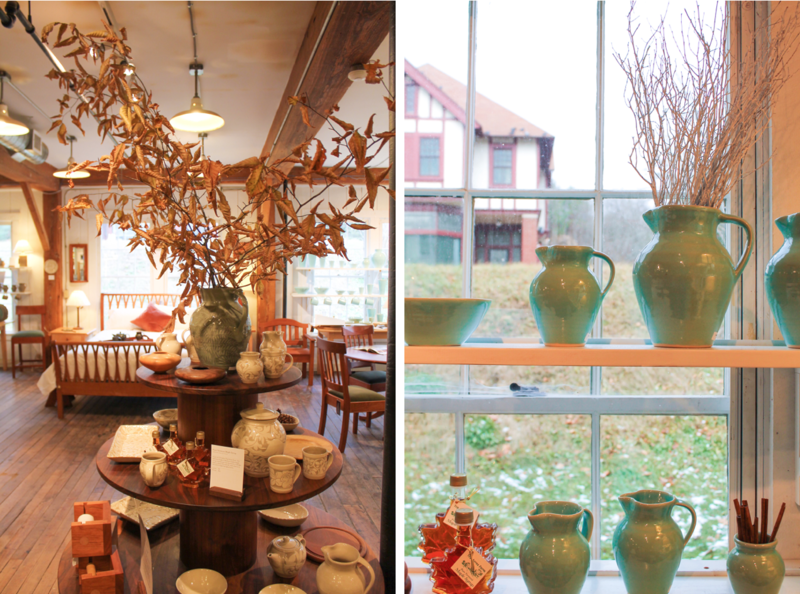 We love our local businesses and the beautiful products they create. And when a maker’s artistry can connect with your own vision and aesthetic, it’s spectacular and stimulating. If we are to describe Shackleton Thomas in one word, “handmade” would do the trick. “We’re big on using our hands and handmade tools, whether it be the curls on a chair or a small decoration. We make contemporary interpretations of classic designs,” Charlie notes. Not meant to be funky or difficult to understand, Shackleton Thomas pieces are approachable in both a comforting and interesting way. This most certainly contributes to why we immediately feel at home in their showroom. 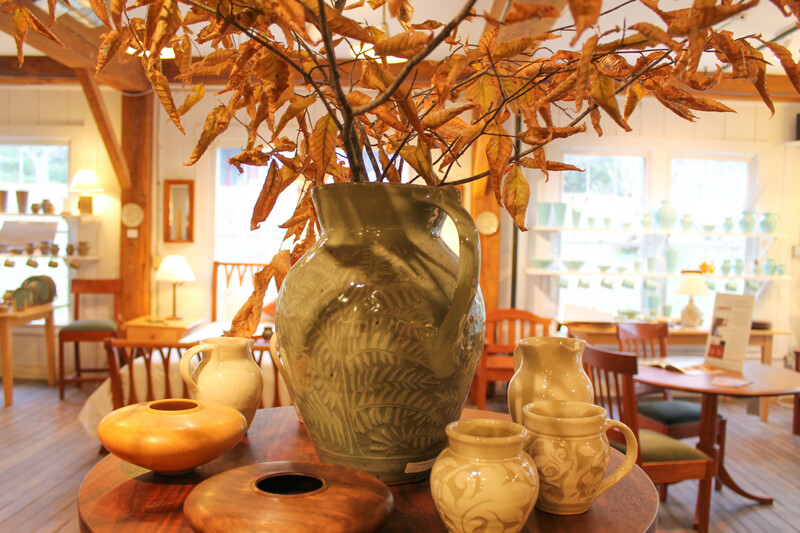 We sense contentment with a flare of intrigue, pulling us further into their gorgeous showroom. Shackleton Thomas has kept their business small and intimate, now employing six furniture makers and three potters. “Everyone who works here abides by a core belief: when someone buys a piece of furniture or pot, the Design, Materials, Quality of Craftsmanship, and Human Element are all there.” Design speaks to the aesthetic and shape of the piece. Materials include quality wood, metal, glass, or clay. Quality of Craftsmanship describes how well the pieces are put together – the quality of construction. Finally and most importantly, the human element gives Shackleton Thomas pieces a soul. Imprecise details by the maker give a piece character and beauty that cannot be replicated by machine. Shackleton Thomas products function as unique pieces of art. 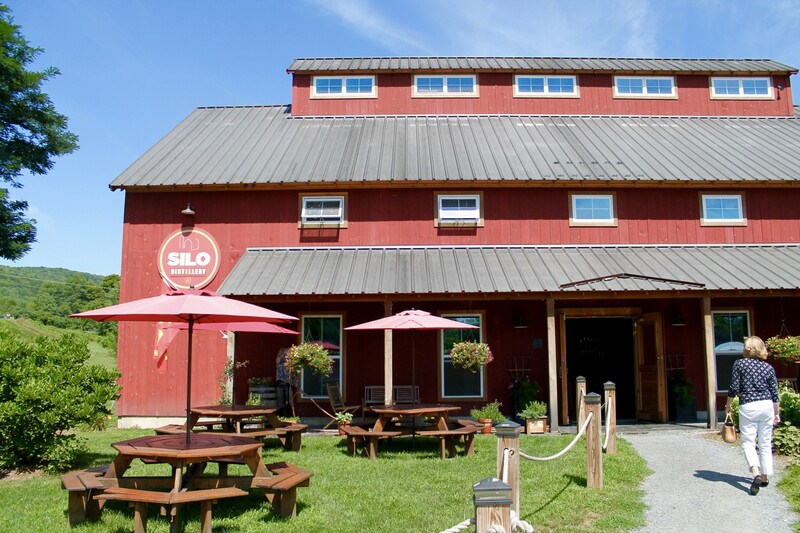 Vermont appears to be the perfect place for a shop such as this. With no big wholesalers in sight, Shackleton Thomas likes their customers to come straight to the source and see the handmade pieces in person. Their style takes influence from the rural lifestyle in Ireland, much like Vermont. Thinking back to his childhood home, Charlie remembers “rough country furniture, often painted but beautiful. 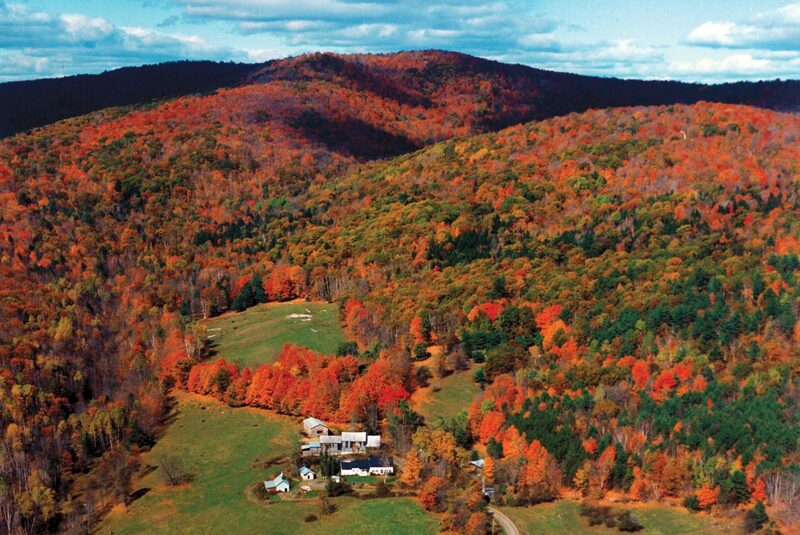 Our cottages were close to the ground, and decor reflected our closeness to the soil and land.” This is particularly similar to why people are drawn to Vermont. And so here the Shackleton Thomas showroom sits, in the heart of the a rural landscape that so perfectly displays their inspired pieces. Shackleton Thomas’ showroom in Bridgewater is open Tuesday through Saturday from 10am to 5pm and Sunday from 11am to 4pm in the winter. Not in the area? They have a store in Brooklyn Heights too! They’re online store has a wealth of information and products, but we highly suggest visiting their showroom in person. You’ll fall in love with the handmade element that makes a Shackleton Thomas piece so unique.